Note: With the publication of Six Dots just a few days away, I’m receiving some interesting questions from book people across the country! In the next several posts, I’ll choose one of these questions and share my answer here on Insights. Q: Can you share a story about how braille is combining with modern technology? 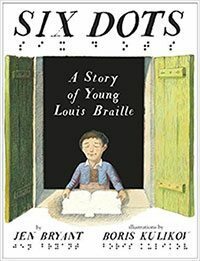 A: I’m constantly amazed by current braille-user stories and this one by John Washington is a great example. Over the course of his lifetime, 95-year-old Mr. Washington has experienced many changes in the use of braille technologies. As a teen, he read books in braille and later co-founded the first African American braille magazine. 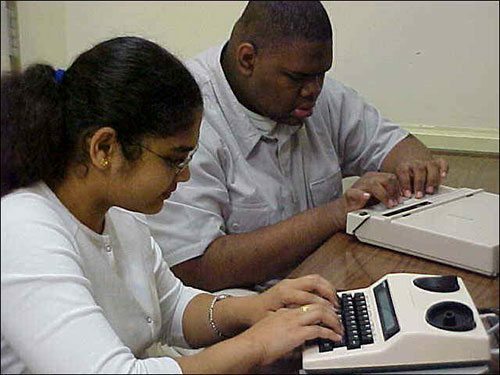 This recently recorded StoryCorps interview was done with the help of a Telebraille machine, a device that—when used in face to face communication—allows the sighted person to type on a keyboard and the visually impaired person to read what is being typed in Braille. 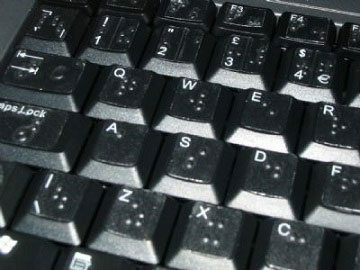 In reverse, the visually impaired person can type her/ his reply on a braille keyboard, and that message is received by the sighted person on a visual display.